No passado dia 29 de Maio, a equipa do Cicloria participou na Primavera Ciclável. Em baixo algumas fotos do encontro. 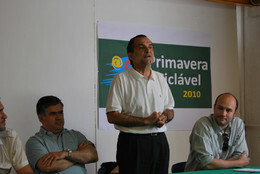 A Câmara da Murtosa tem actualmente em curso três obras “fundamentais” para a implementação da estratégia municipal de mobilidade ciclável. 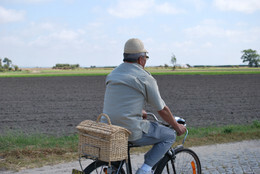 'The Policy Department of the European Parliament has published a study evaluating the challenges and opportunities of developing a cycle tourism network across Europe.It focuses on EuroVelo, a network of 12 long-distance routes managed by the European Cyclists’ Federation, which is being developed in different countries by a wide range of partners. 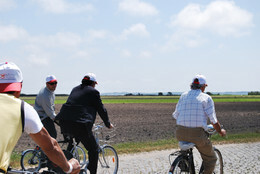 The Iron Curtain Trail is deemed to become the 13th route within this network. 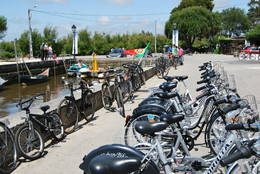 The study reviews the market for cycle tourism in Europe and presents a EuroVelo demand model. It reviews the carriage of cycles on trains. Finally, it evaluates the potential of the Iron Curtain Trail. The study can be downloaded here'.